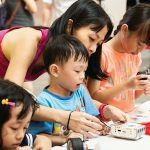 Jurong Town Corporation (JTC) in collabortion with the Singapore Institute of Technology (SIT) and grassroots leaders from Punggol co-organised a Fun Science Camp on 14th December 2018 as part of their community engagement efforts with the Punggol community for the upcoming Punggol Digital District (PDD). 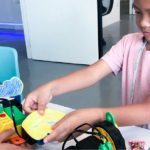 This fun science camp is targeted at Primary 3 to 6 children who live in the Punggol area, and priority is given to those underprivileged kids in the community. 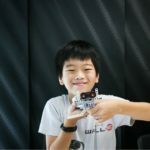 Future Ready Academy was delighted to be able to support the JTC & SIT Fun Science Camp by hosting and conducting robotics and coding workshops to foster greater appreciation of the necessity for communities to embrace a digital mindset as the future is indeed increasingly digital by any measure. Watch video below to view the video of the event and see the digital magic come alive. At the forefront of Singapore’s Smart Nation push, the JTC Punggol Digital District (PDD) is envisioned to be a vibrant and inclusive district where cutting-edge technology and social innovation transform the way we work, live, learn and play in the future. JTC Corporation is the Master Developer PDD in collaboration with URA, IMDA & SIT (Singapore Institute of Technology). Punggol Digital District will house key growth sectors of the digital economy such as cyber security and digital technology and is expected to bring exciting job opportunities closer to residents in Punggol and the north-east region. With the clustering of these growth sectors, the district will be an ecosystem of open innovation and a conducive test-bed environment that will enable businesses and the community to thrive in a digital economy. JTC’s Chief Executive Officer, Mr Ng Lang, said, “To be developed progressively, Punggol Digital District will be the first district to adopt a one integrated masterplan approach that brings together a business park, a university and community facilities. Such a district-level planning approach creates synergies, optimises land use and catalyses community building. “PDD is a good example of the digital transformation we aspire to create, anchored by technology, innovation and collaboration. As a greenfield site, PDD has the flexibility to incorporate industry needs into the core of its design and allows for an unprecedented level of integration between industry and academia,” said Angeline Poh, Assistant Chief Executive (Industry Development), IMDA. “PDD presents a golden opportunity for us to showcase the benefits of close industry-academia partnerships where SIT students could be groomed to seamlessly transition into their chosen careers,” said Professor Tan Thiam Soon, President, SIT. 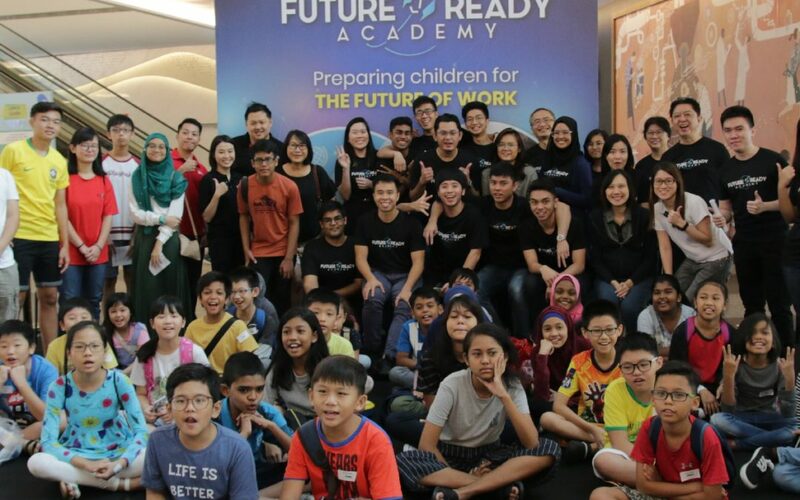 This event enabled Future Ready Academy to work with like-minded partners to inculcate a vibrant digital mindset and skills amongst the young to realize the JTC vision of the PDD. With over 60 participants from the likes of People’s Association, Citizen Consultative Committee, Hillside Neighbourhood Committee, Punggol North Our Kampung, Punggol Coast, Singapore Institute of Technology, Skills Craft, National Environment Agency, JTC, Punggol CC and more, this event was a perfect end to our list of 2018 events.